The Alliance for African Assistance: We are in the business of empowering refugees, immigrants, and the underserved. The Alliance for African Assistance is a 501[c]3 non-profit that assists new arrivals in adjusting to American culture. For over 20 years the Alliance has remained unceasing in its dedication to provide social, cultural, and educational support and guidance to all refugees in their resettlement process. One of the most critical pieces of serving immigrants from all origins is to assist them in their communication. Since 1989 we've employed our network of amazing linguists with diverse interpreting backgrounds - everything ranging from the medical field to the United Nations to the U.S. Armed Forces - to serve the Limited English Proficient population of San Diego and beyond. Our involvement with the "new American" community puts us at a unique advantage to anticipate and track the need for rare languages and dialects as they arise, and to recruit interpreters accordingly. Our incredibly diverse staff provides insight into the array of cultural and linguistic diversity we encounter and is representative of the populations we work with. Alliance for African Assistance provides affordable oral interpretation and written translation services in more than 180 languages. 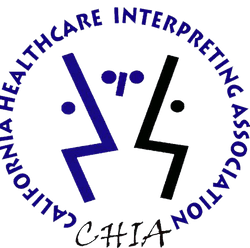 As a proud member of the California Healthcare Interpreting Association, Alliance for African Assistance is committed to ensuring accurate and professional interpretations. Our interpreters and translators are highly trained and experienced and are held to strict standards of confidentiality. A number of our interpreters have gone through an extensive Medical Interpreter Training Program funded by the Women’s Foundation, and all interpreters are committed to seeking ongoing training. A commitment to confidentiality and the protection of sensitive client information is a required condition of employment with the Alliance for African Assistance Language & Cultural Solutions Program. Our clients include hospitals, police forces, government agencies, clinics, schools and school districts, and various social service providers.